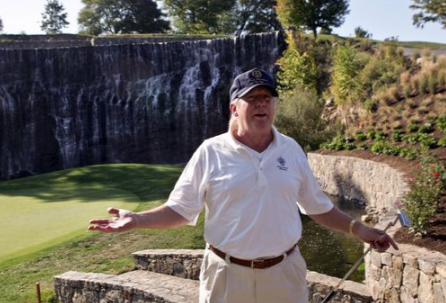 Why should you pay more tax than Donald Trump? 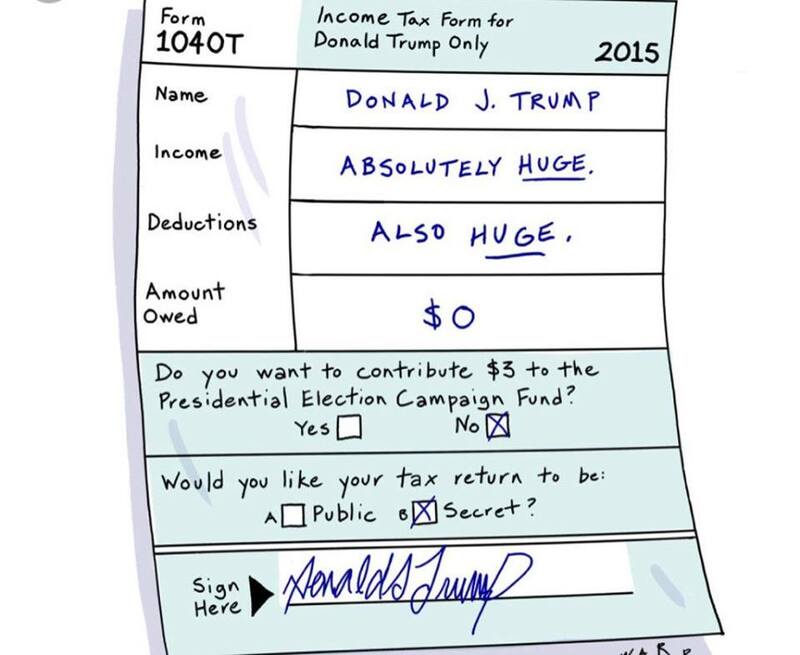 Donald Trump further agitated critics recently by refusing to reveal his income tax details, instead hinting only that he pays as little as possible. ABC News drew attention to the issue. The only time that he was forced to release his income tax was decades ago, according to the Washington Times. His federal income tax return at that time showed that he paid nothing in federal income taxes in 1981 despite his large fortune amassed in New York and New Jersey real estate development. Trump says that he disapproves of the way government spends money as a motivation for tax avoidance. “One of the reasons is because the government takes your money and wastes it in the Middle East and all over the place” as a reason that he should not pay taxes and argues that big developers deserve special tax breaks. Trump says that he works “very hard to pay as little tax as possible”. I’m not saying that developers don’t need tax breaks. In fact, I attended a symposium yesterday focused on redevelopment of New Jersey’s idle and stranded real estate. I strongly support tax breaks for some types of redevelopment. There are many people across the country – not just billionaires – taking advantage of these legitimate and necessary strategic tax incentives in real estate development and many other areas of the economy to lower their tax bill. Tax savings opportunities are not only for the super-rich and infamous. Anybody who is truly dedicated to lowering or eliminating their tax bill can find a way to do so. Politics aside, the real question here is why do you pay more tax than Donald Trump and what do you plan to do about it? The tools and strategies are available to anyone who wants to reduce their tax liabilities over the long-term. All it really takes is the will to incorporate effective tax planning into your overall business and personal financial plan. Strategic tax planning is likely the most consistently rewarding financial planning exercise available to all of us. Yet it is often the most underutilized part of overall financial planning. The process begins with a tax planning discussion as the first step toward developing an effective and appropriate tax strategy; a service that I am pleased to have offered to successful individuals across the nation for several decades. I would welcome the opportunity to hear about your situation and financial goals. Pingback: Tony Novak CPA | Is it smart to pay no taxes?